Yamaga"- Little Kyoto" SUBPAGE | All Japan Kyoto Association"
Located in the northern part of Kumamoto Prefecture, Yamaga City borders Fukuoka and Oita prefectures. Beautiful mountains and rivers lie in the northern part of the city and idyllic rice paddies blessed with a rich water source from the Kikuchi River spread out in the central and southern part. A number of historical and cultural attractions are scattered around, too. Yamaga Onsen-go is an area with many nice onsen hot springs offering an abundance of quality natural hot water. Buzen Kaido area retains the atmosphere of olden times. An old theatre, Yachiyo-za (National Important Cultural Property), Kikuchi Castle (National Historical Site) and many other cultural assets are also worth visiting. The most noteworthy in Yamaga is the Yamaga Toro Festival held on August 15 and 16. A number of tourists visit Yamaga at this time to watch and join the Sennin Toro Dance and to watch fireworks, and the lantern parade. The Yamaga Toro Dance is particularly unique to watch as ladies put a Kana-doro lantern (traditional craft of Yamaga made with only washi paper and glue) on their head and elegantly dance. This is one of the most popular summer attractions in Kyushu. 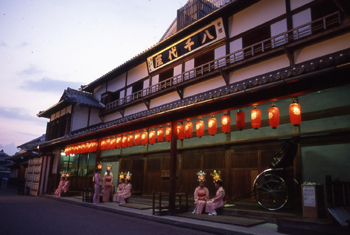 Yachiyo-za is a drama theatre which local businessmen built in 1910. 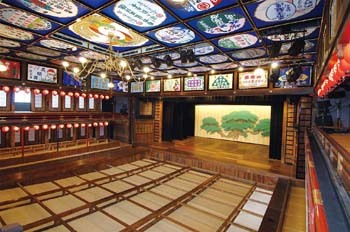 The architecture is traditional Edo-period style and the stage can turn as it has Germany style rails. 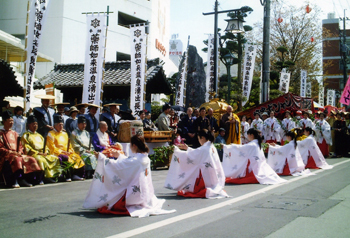 Yachiyo-za still welcomes and entertains audiences with a variety of performances such as Kabuki and local folk entertainments. Masu-seki seats (a square seating area by the stage), gorgeous ceiling paintings and a pretty chandelier are all worth taking a look at. 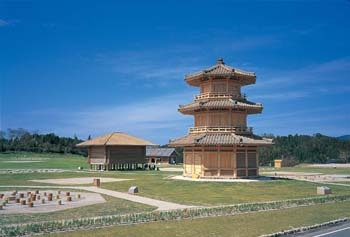 Yachiyo-za was designated as a National Important Cultural Property in 1988. Visitors can enter on days when no program is scheduled. Sakura-yu is an onsen hot spring which was built about 370 years ago as a tea house which the local samurai governor of the Higo Hosokawa Clan enjoyed. Around 1868, it was reborn as a public bath for the local people thanks to a financial contribution from the citizens of Yamaga. Keeping the atmosphere from the original hot spring, it was renovated in November 2012. 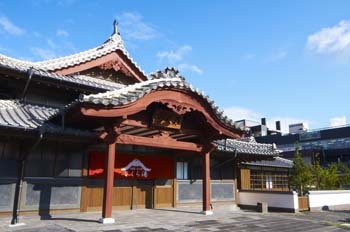 A decorative entrance, unique cross design roof, Ryu-no Yu bath used by the guests, and many other features from the Meiji period still remain and welcome visitors today. Yamaga Toro is a traditional craft of Yamaga. It is a lantern made only with washi paper and a little glue and is designated as a National Traditional Craft in 2013. 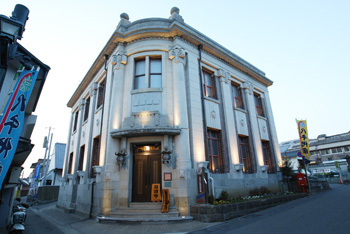 The building used to be a bank which was renovated in 1925 and reopened as this museum. Inside there are displays of many Yamaga Toro. The gorgeous painting is a work by Toyo Kano which decorated the ceiling of the Gozen-no Yu bath, used by the successive samurai governors of the region. In the annex building, the production process of Yamaga Toro, requiring a high level of sensitivity and skill, is demonstrated. The origin of Kikuchi Castle dates back to 1300 years ago when the imperial court in those days established a castle on the mountain. It has an unusual octagonal tower. At that time, the political situation in the Eastern Asia was quite tense. Since Japan had a friendly relationship with Paekche (a kingdom in Korea in those days), it sent an army to Paekche to assist them. However, they were defeated in the battle against Tang (China) and Silla Kingdom (Korea) in 663. The power balance was largely changed after this battle and the Japanese court was afraid of being attacked by their enemies. As a result, they decided to build military bases for security. Ono Castle in Fukuoka Prefecture, Kii Castle in Saga Prefecture and Kaneda Castle in Nagasaki Prefecture were examples of this strategic policy. Kikuchi Castle was built as a support base for these castles and provided them with food, weapons and soldiers. Today, the castle site is a National Historic Site and will become a National Park. 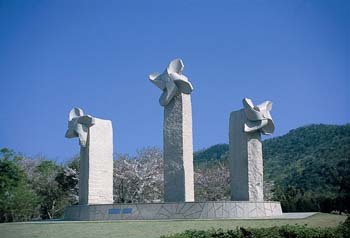 Chibusan Tomb is famous nationwide as a decorative ancient tomb (National Historic Site). It is a large 50-meter keyhole-shaped tomb mound established around the 6th century, about 1500 years ago from today. There are circles drawn on the wall which looks like a woman’s breast, therefore, it was named Chibusa (woman’s breast). It is still worshipped as the deity of the breast today. 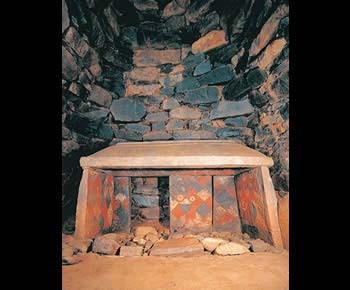 There is another ancient tomb, Obusan Tomb, about 200 meters away where unique decorative patterns were also discovered. 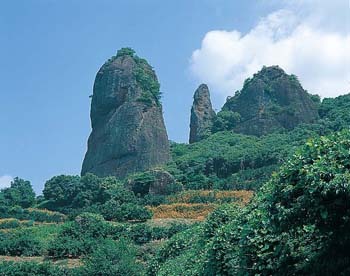 Fudo-iwa are the huge three rocks, Mae Fudo, Naka Fudo, and Ato Fudo, on the mountains (389 meters high) in eastern Yamaga City. Each rock is about 80 meters high and about 100 meters around the base and is meta-gabbro from 500 million years ago. Fudo-iwa Rocks are selected as one of the 25 Best Scenic places in Kumamoto Prefecture. Ipponmatsu Park is located on a hill in Motomachi Town of Yamaga. The view of the 1.5 ton large “Stone Windmill” slowly turning in the wind is a must-see. There is also a 90-meter roller slide, tennis court and shops selling local products. Many local people and families visit the park for recreation on weekends. Yamaga was already mentioned in the “Wamyosho,” a dictionary published in the Heian period (794-1185) as a representative hot spring. From around 1874, the Onsen Hot Spring Festival was held twice a year in spring and autumn, but now there is just the one festival in autumn. An elegant imperial style procession, a sacred dance by the shrine maidens expressing gratitude to the deity for the blessing of the onsen, and many other events related to the hot spring will be included. 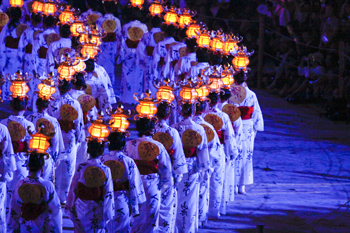 The origin of this festival dates back to the end of the Edo period when a terrible plague prevailed around the area. One night, the deity of Gion appeared and said, “Change the location of shrine hall.” People followed the deity’s command and moved the shrine hall to another location, then, a puppy appeared from somewhere and stayed with the shrine while it was being moved. The puppy disappeared when the move was safely finished. Afterwards, the plague ended and people believed that the puppy was an avatar of the deity. 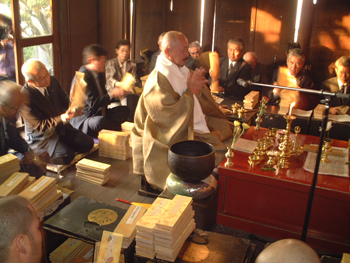 They started to produce the figure of a puppy with a hyotan (gourd) and rice powder and keep it inside the house to get rid of bad health and misfortunes. The grand festival of Yamaga has been taken over by numerous generations of citizens with great pride. Its origins date back to the 1st century when the Emperor Keiko was troubled by a deep fog when his group was traveling in this area, and the local people helped and welcomed him with lantern lights. For two days, the city will be full of festive events such as the Hono Toro ceremony, fireworks, a lantern parade, and more. The supreme highlight is the Thousand Toro Dance in which women holding a Yamaga Toro (paper lantern) on the head elegantly dance together. In March 1473, the treasury onsen hot spring of Yamaga suddenly dried out. Due to this emergency, Yumei Hoin, the chief priest of Kongojo-ji Temple, built Yakushi-do Temple and prayed for the hot spring’s recovery endlessly, without sleep. Finally, the hot spring came back on the night of December 20 of the same year. Yumei Hoin was greatly honored by all as the person who saved Yamaga and since then, December 20 is remembered as the day of the hot spring recovery and Yumei Hoin’s great deed. With the cooperation of the Tourism Association, shopping streets, local university students and the City Hall, the historical town of Yamaga will be decorated with a number of art objects. Visitors will feel as if they have taken a time trip to the Edo period. After around 18:00, the art objects will be lit up and the town will be imbued with a warm and elegant atmosphere. At Yachiyo-za Theatre, a combination performance of Yamaga drum and Toro dance will entertain people. Experience the energetic drum sound and elegant dance with Yamaga Toro. In the precinct of Nichirin-ji Temple, lies a monument ensconcing the hair of the Ako Gishi, the 17 samurai, including Kuranosuke Yoshio Ouchi. A samurai named Den’emon Horiuchi met the Ako Gishi samurai at the residence of Hosokawa Clan in Edo (present-day Tokyo) and he was deeply impressed with their behavior. After their tragic death, Horiuchi brought their hair to Yamaga and buried it at this temple. 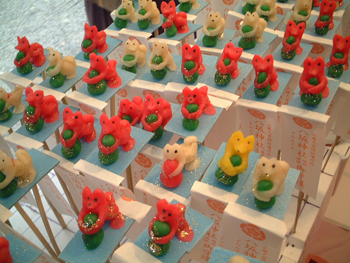 Memorial ceremony for Ako Gishi is held every year as the Gishi Festival. Yamaga Toro lanterns are made with only washi paper and a small amount of glue. No wood or metal parts are used. It is a traditional craft of Yamaga with a history that began in the Muromachi period (1338-1573). 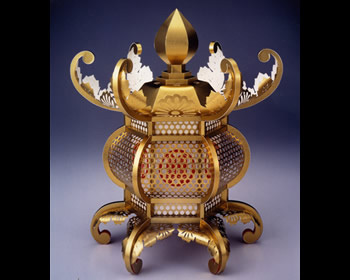 Experienced craftsmen produce a lantern with upmost care and thus, Yamaga Toro is synonymous with “Paper Art.” There are several kinds of Yamaga Toro such as Kana Toro (used in the Yamaga Toro Festival), Shiro-zukuri, Shinden-zukuri, and Zashiki-zukuri. Yamaga Toro was designated as a National Traditional Craft in 2013. 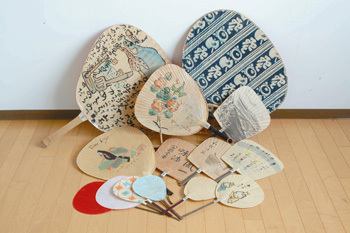 Kutami Uchiwa fan’s history started in the Edo period. It is one of the special craft from the Kamoto district in Yamaga City where persimmon tannin is applied to the washi paper’s surface. 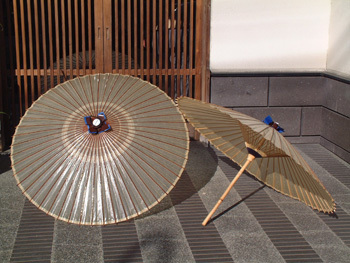 It is said that a Buddhist monk who was traveling around Japan brought this fan making skill to Yamaga around 1600. The first feudal lord who ruled this region, Tadatoshi Hosokawa, strongly encouraged this new industry. Kutami Uchiwa is produced only in the Kutami and it is believed that the fan will bring many customers to the business owners. Yamaga was the largest Japanese umbrella production area in Western Japan from the mid-Meiji period. There were over 130 umbrella manufacturers in the Taisho period but the arrival of cheap Western umbrella caused the Yamaga Umbrella to disappear after the war. In 2005, a young man who learned how to make the traditional Japanese umbrella became a key person in the revival of the Yamaga Umbrella. He skillfully operates a special machine brought from Chikugo region and continues to improve his skills to produce a new form of Yamaga Umbrella that can be used in modern life. 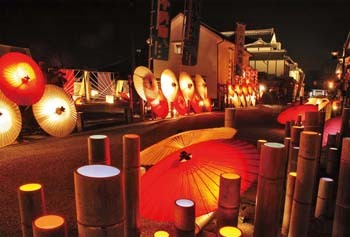 During the Yamaga Toro Roman, Hyakka Hyakusai Festival in winter, beautiful art objects featuring Japanese umbrellas will illuminate the town. 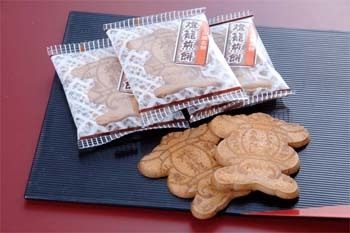 A crispy waffle cracker in the Yamaga Toro shape contains sweet red bean jam inside. Every piece is made carefully by hand. 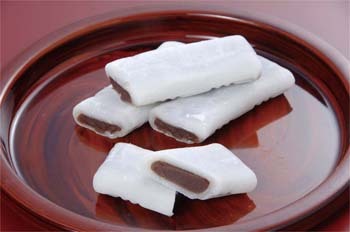 Silky smooth red bean paste is wrapped with sticky and soft Gyuhi rice cake. 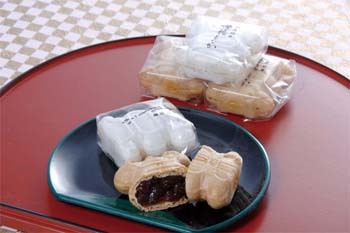 Original sweets only found in Yamaga. Crackers using a lot of eggs are baked carefully one by one. The sweet taste will become everyone’s favorite. Kikuka Town of Yamaga City started to grow a Chardonnay named Cabernet Sauvignon, the ingredient grape for wine, from 1998. The grapes are used for Kumamoto Wine. Since Kikuka Town has a large temperature gap between day and night and good soil to grow grapes, their grapes are highly valued as a quality wine ingredient. 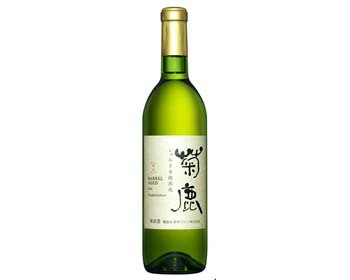 Their white Chardonnay won the Gold Prize in the Japan Domestic Wine Contest 2004.